Fancy some Italian cheese and desserts? Well then Mascarpone is just the place to head to! Located in Uthandi Village on the ECR, Mascarpone is an Italian restaurant and dessert house. 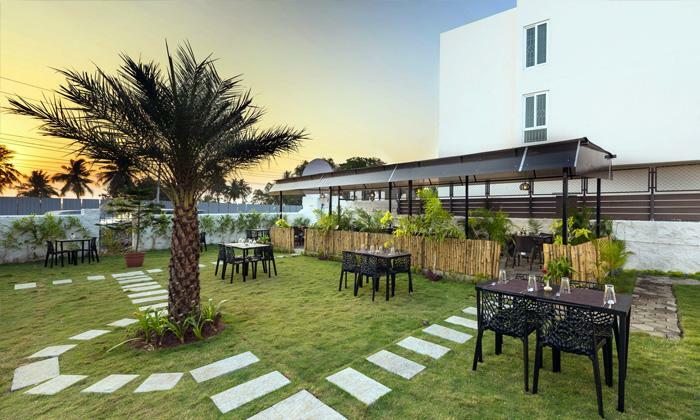 A beautiful restaurant that has a very nice and comfortable seating arrangement out in the open green lawns, Mascarpone let's you enjoy a lot of goodness, all at once - a nice view, the pleasant weather, great food and greater desserts! Indulge in the authenticity and goodness of some wholesome Italian favourites. Ideal for a romantic date or for hanging out with friends, even family, Mascarpone is one of those little hidden gems of the city that you ought to try!